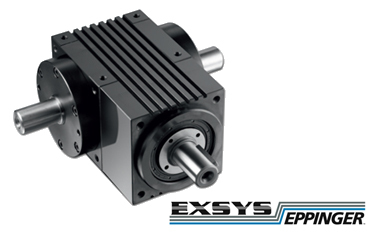 As a long time EPPINGER supplier, EXSYS Tool offers a line of high-quality EPPINGER Spiral Bevel Gearboxes. EPPINGER’s BT (bevel torque) and BM (bevel maximum torque) compact spiral bevel gears deliver high torque and maximum efficiency for gear applications that require extreme reliability and variability at speeds over 1,000 rotations per minute, as is the case for vehicle differentials. Founded in 1987, EXSYS Tool, Inc. is the exclusive importer of German-made EPPINGER solutions, including high-precision live and fixed toolholders for CNC turning centers, modular adapter systems for quick lathe tooling changeovers and gear box solutions for a wide range of applications. With headquarters near Tampa, Fla., and support offices in California, Canada and Mexico; EXSYS offers a variety of different tool holders, gold standard tooling repair and applications expertise to manufacturers throughout North America. For more information, please contact EXSYS Tool, Inc. at info@exsys-tool.com or visit www.exsys-tool.com.